I absolutely can't wait for February Half term this year. We always try and stay local and support our North East venues in this holiday and this year is no different. I'll be posting daily reviews of various events across our region so keep your eyes peeled for those. This post has taken HOURS to write and it's testament to just how much there is to do in our region. Many activities are free too so there's no need for the kids to complain that they're bored. Please be aware that events/timings/costs can change so always double check details for yourself before you head out. If you'd like to see more posts like this, please give our North East Family Fun page a like and join our North East Days Out Facebook group. You can also find me posting photos from across the North East over on Instagram here. Phew! What a list! 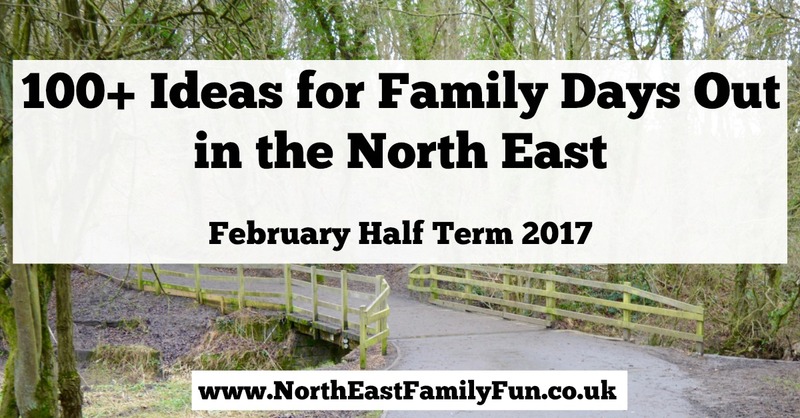 If you'd like to see more posts like this, please give our North East Family Fun page a like and join our North East Days Out Facebook group. You can also find me posting photos from across the North East over on Instagram here. Wow that must have taken you forever! I'll be referring to it. It's going out on my Fb Friday morning. I'll pin it now. It did take forever - worth it though. Thanks for sharing.